Woke up again briefly at 3.15am but managed to get straight back to sleep and woke again at 6am. Much more sociable time. 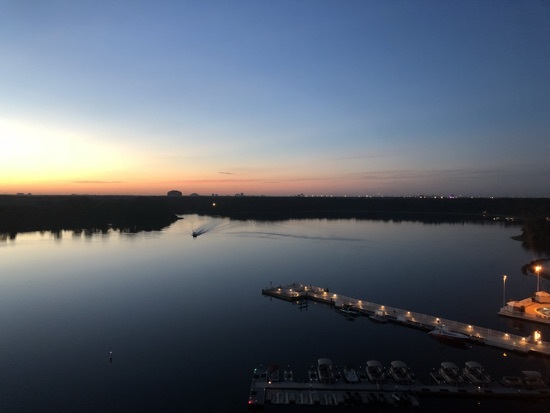 I went out onto the balcony and watched the sunrise. We love this part of bay lake tower so much as other than people way over in the contemporary tower you have no one overlooking you, the views over bay lake are amazing and I love being able to pick out Epcot, tower of terror, expedition Everest and watch the monorail pass in and out of the contemporary. The others woke about 7am and we sorted some breakfast. 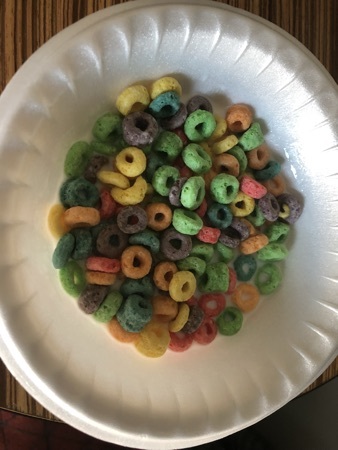 DH did the coffee run to the contemporary and dd had a bowl of fruit loops. 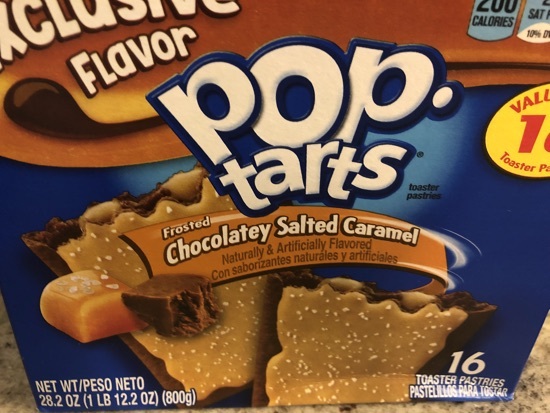 DH had a bowl of frosted wheats and I had a couple of chocolatey salted caramel pop tarts. These were really good! Think I might have to get some to take home. We took our time getting ready and drove to Epcot, I made a fast pass for the character spot to see Mickey, goofy and Minnie before we left. We arrived at 9.15am and didn't bring a bag with us today so were straight in with no wait. Whilst in the queue to meet the characters I made a fast pass for spaceship earth and whilst entering that made one for figment. 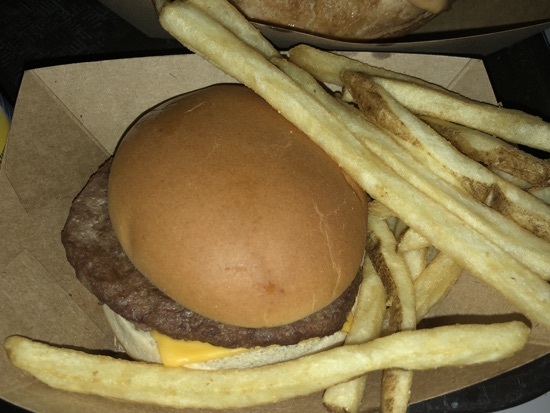 After figment we'd used our 3 initial fastpasses so was able to get one for soarin' and after riding this we were feeling peckish so decided on an early lunch in electric umberella. DH and I had a brisket sandwich topped with beer cheese sauce and fries $10.99. Dd had a kids cheese burger meal with fries, apple slices and a chocolate milk $7.29. 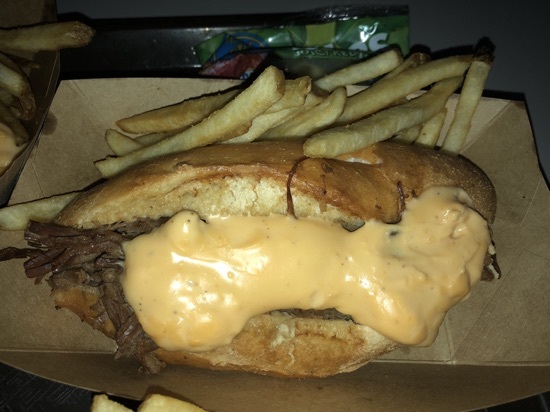 The brisket sandwich was really good, the beer cheese sauce was quite salty but went really well with the beef. Dd enjoyed her burger and ate the lot. 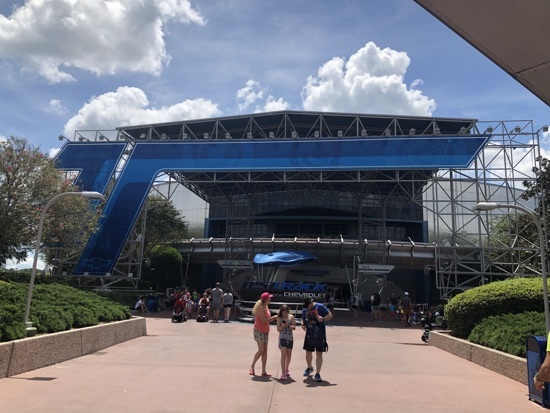 After our lunch I'd managed to get us a fast pass for test track so we made our way over there, love the designing aspect of this ride and I was really proud of my total 222 score! 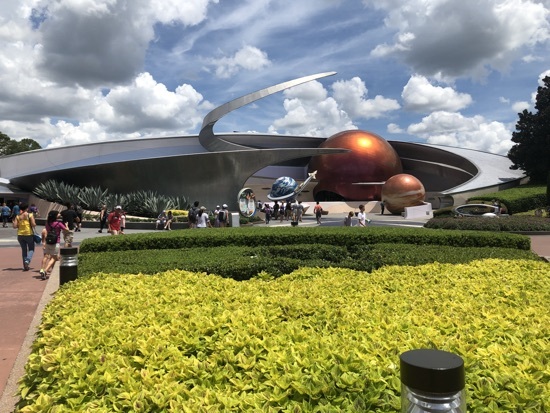 made a fastpass for DH and Dd to ride mission space but we had a half hour wait so looked in mouse gear. After mission space it was 2 o'clock and we decided to head back to the resort for a chill out. Our pram had been delivered this morning so we picked that up from the business centre at the contemporary. 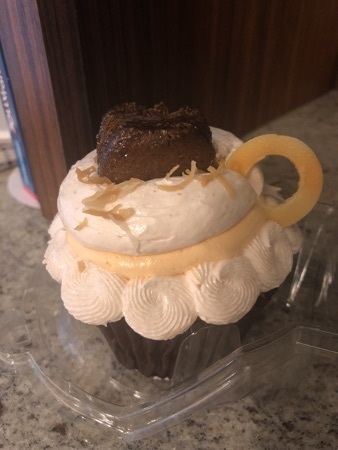 We had a reservation at Kobe on the 192 at 5 o'clock but I was feeling hungry and the cupcakes in the fridge were calling my name. I picked the peach and white iridescent cake with a chocolate macaroon on top. This was a vanilla sponge with a pineapple filling. The cake looked much better before being squashed into the carry container and the macaroon had gone abit soggy but it tasted really good. 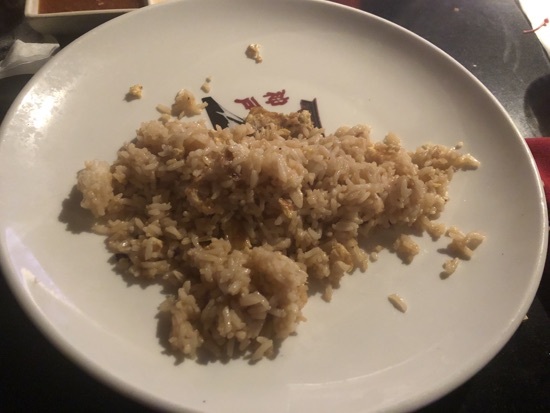 There was no way I was going to be able to eat all of this so I cut it in half and left half for another time. After a bit of a rest we headed to Kobe Japanese restaurant on the 192 towards Kissimmee. This is a hibachi style restaurant like Teppan Edo. I had made a reservation online a couple of weeks ago for tonight at 5.00pm as Tuesdays are kids eat free and they have an early bird special from 5-6pm. We checked in and were seated pretty much immediately at a table with 2 other families, there were 10 of us in total around the table. He served took our drinks order, Coke for DD and DH and I had a Diet Coke. 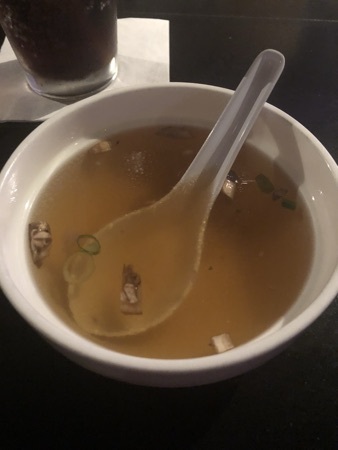 Next the onion/mushroom soup was served, this is a clear broth with onions and mushrooms in, really lovely. 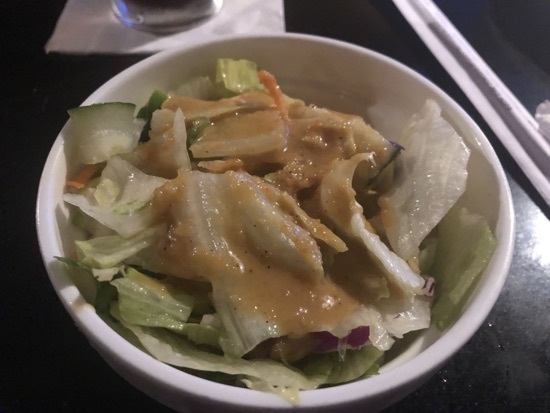 Then was the mixed salad with ginger dressing. 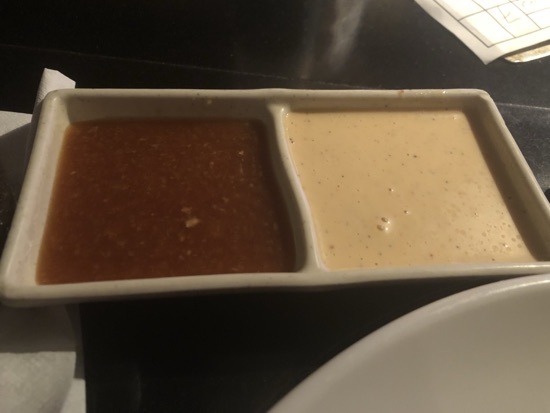 The dressing had a odd small lumpy texture but tasted really good. 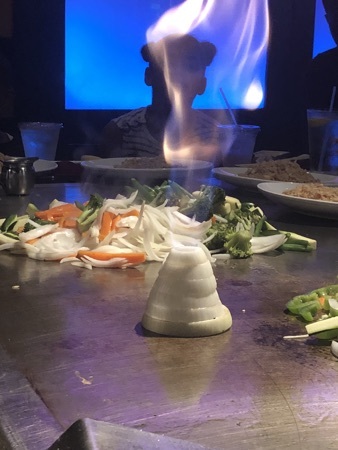 While cooking the food the chefs do various tricks including the fiery volcano. 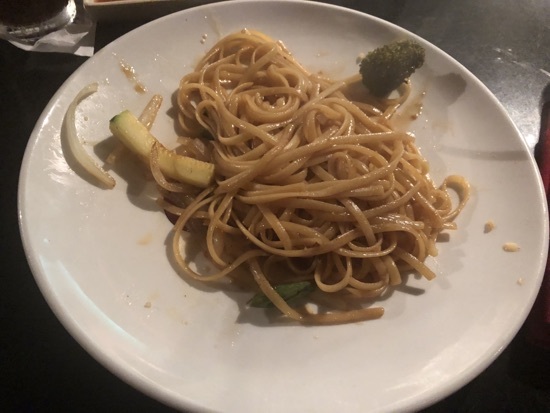 Next up was the noodles, again delicious and just the right amount. For our meat selections DH and I both chose the sirloin steak and DD had he chicken. The Steak was cooked perfect medium rare and was melt in the mouth absolutely delicious! 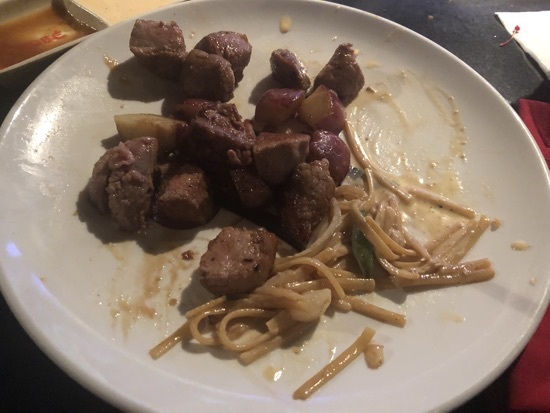 The total came to $50.36, which was $21 for a full priced adult sirloin meal and then kids eat free promo and an early bird special adult sirloin. Such great value when you compare it to Teppan Edo which would cost us twice that for the 3 of us. After our dinner it was 6.30pm and we decided to head over to Hollywood studios to check out toy story land, id made a fastpass earlier for you story mania so we parked up near the front of the park and walked over to the entrance. The drop off zones and walkways into the park have all been moved due to the skyline construction so it's abit further to walk than normal. As we walked into the park and up towards the Chinese theatre it started to rain, we walked quickly towards toy story mania for our fastpass. 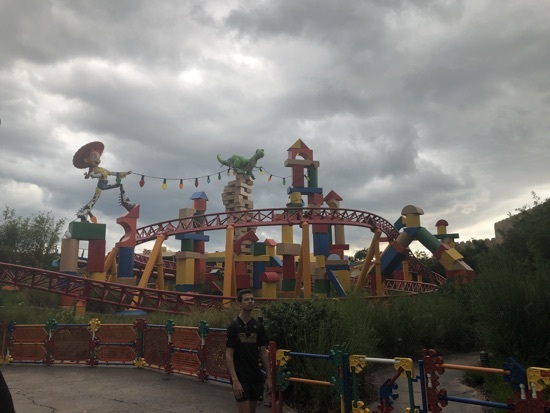 Toy story land looks amazing! There is so much detail and the colours are so vibrant. We went on TSM and DH won as usual and when we came out there was an almighty Florida thunderstorm in full throws. 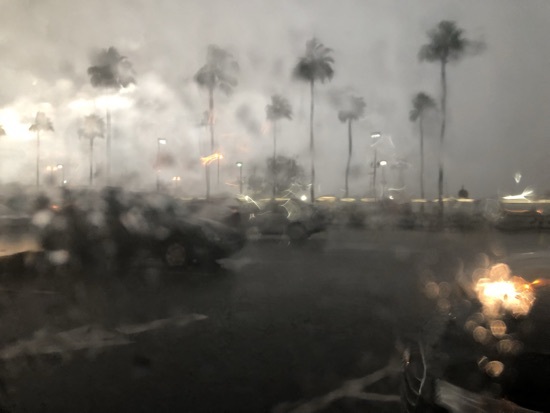 We decided that we should probably just leave as it looked like it was sticking around for a while, we made our way back to the car and we're absolutely drenched, I have never seen rain like it and we've been to Florida most August's for the past 10 years. We got back to bay lake tower and I popped by reception to let them know our TV wasn't working and we had reported it yesterday and it still hasn't been looked at, she sent an engineer up to take a look. Bob knocked on our door 10 mins later and ended up swapping our tv for a new one, he was so lovely and ended up sorting us out with 3 any attraction fastpasses for animal kingdom tomorrow which we were thrilled with! We had another relatively early night as we'd been rained off . 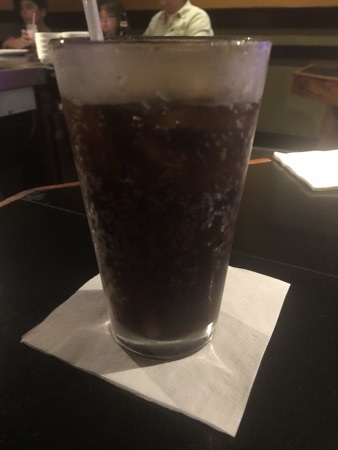 New Photo Added by missdopey - 22 Aug 18 1:19 PM. Kobe looks great. Will need to give it a try. 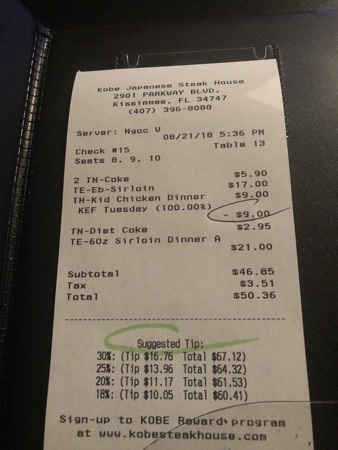 Noticed the suggested tip went up to 30% on the bill. Very optimistic! Now I know why you get up early - that early morning photo is beautiful. 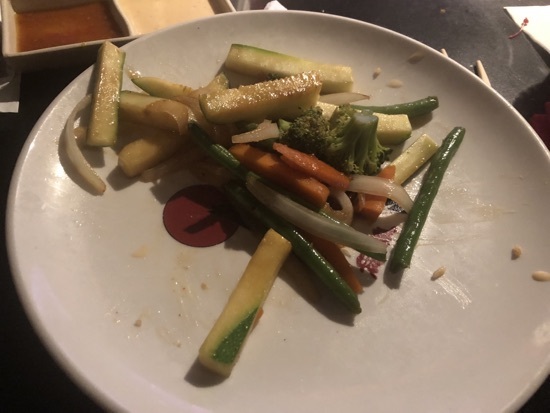 We loved Teppan Edo but Kobe definitely wins on price! Shame about the rain but good news on the fastpasses.